Now, we approach our destination. 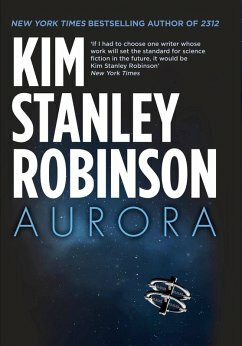 Brilliantly imagined and beautifully told, Aurora is the work of a writer at the height of his powers. Kim Stanley Robinson is a New York Times bestseller and winner of the Hugo, Nebula and Locus awards. He is the author of more than twenty books, including the bestselling Mars trilogy, 2312, Aurora and New York 2140. In 2008 he was named a 'Hero of the Environment' by Time magazine, and he works with the Sierra Nevada research institute. He lives in Davis, California.